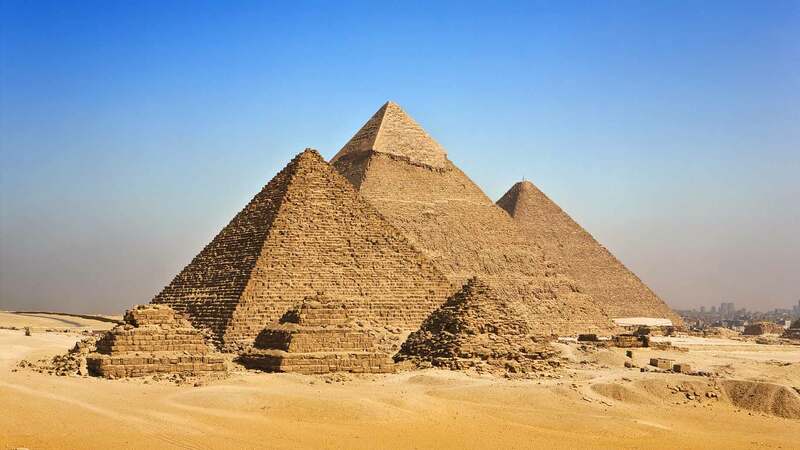 Travelers who want a little intrigue and wonder in their vacation – as well as a dose of ancient history – may be lured by the pharaohs, tombs and temples of Egypt. There, just outside Cairo, awestruck visitors gaze up at the more than 480-foot-tall Great Pyramid of Giza – the last survivor of the Seven Wonders of the Ancient World. How did workers in 2600 B.C. move the 2.3 million stone blocks which weighed at least two and half tons each? Theories abound. However it was done, Pharaoh Khufu (Cheops to the Greeks) was in charge. His successor Kefren’s pyramid is smaller, but on higher ground with the lion-bodied Sphinx guarding it. His successor Mykerinos’ pyramid is smaller than the first two. Several additional small pyramids fill the Giza Plateau. Visitors will need a passport for this trip. First time applicants will pay $100 per adult and $85 per child under age 16. Thirty-day tourist visas are available at Egypt airports for $15. Packing for Cairo may send would-be travelers shopping. In addition to the hot-weather vacation standards of a hat, comfy shoes and sunglasses, female travelers will need to pay extra attention to their wardrobe. Egyptian tourism officials advise women to conform to the local views of modesty by avoiding shorts and low-cut shirts. They suggest wearing loose-fitting clothes with long sleeves. The best time to visit Egypt weather-wise is from September to November. Bargain hunters can find better airline and hotel rates from June to August, but they’ll also probably encounter 113-degree days. In March and April, high winds may kick up sand and affect visibility. Roundtrip Saturday-to-Saturday airline ticket fares for October flights vary depending upon layovers. Passengers leaving from New York City will pay $995 to $1,650. Flights out of Chicago cost from $1,150 to $3,500 and ones departing Los Angeles cost from $1,200 to $2,195. Hotels are plentiful in Cairo and along the short trip to Giza. From the high-rise hotels along the River Nile to the ones within three miles of the Sphinx, expect rooms to start at about $160 per night. Once you see capital city Cairo’s traffic, you won’t want to rent a car. The city is home to more than 17 million people. Driving can be high-speed and erratic. Officials at the U.S. Embassy advise personnel to avoid Cairo’s mini-buses. Hiring a private guide to drive and narrate your four-hour pyramid trip costs about $4 for adults and $2 for children. Solitary travelers can expect to pay a $2 supplemental fee. Admission to all the plateau’s pyramids should cost about $3.50, but expect extra charges if you arrive early enough to nab one of the limited tickets to tour inside the Great Pyramid. Another set of tickets is available after lunch. For an additional $8, visitors can attend a language-appropriate version of an evening sound and light show. In it, the Sphinx plays the narrator of ancient Egyptian history. Tipping is an expected part of touring Egypt and it’s wise to load up on small bills when exchanging money at airport banks. Restaurant servers typically receive $1per person, rather than basing the type upon the meal price. Bellmen typically receive 30 cents per bag and hotel housekeepers receive about $2 every two days. There is plenty to do in and around Cairo to keep visitors busy once they’ve seen the pyramids. The Egyptian Museum displays more than 136,000 items, including more than 1,700 items in the Tutankhamun Galleries. Admission is about $4 for adults and $2for children. Admission into the mummy rooms is an additional $8 and $4respectively. Visitors interested in the history of early Christianity in Egypt may enjoy The Coptic Museum for a $3 ticket. Some attractions ask visitors to pay a fee for photography privileges. Typical charges are about $2 for cameras and about $18 for video cameras.